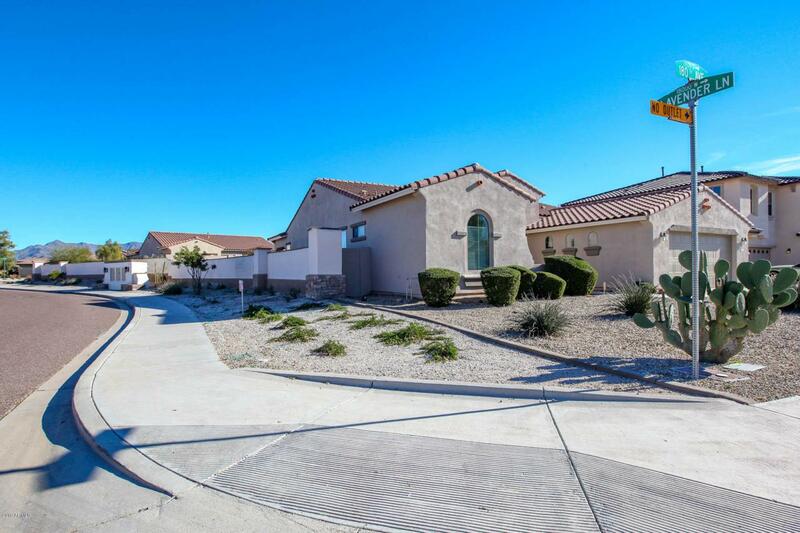 Located in the highly sought after Estrella Mountain Ranch Community, BEAUTIFUL SINGLE STORY, split flr plan home is situated on a LARGE CORNER LOT! 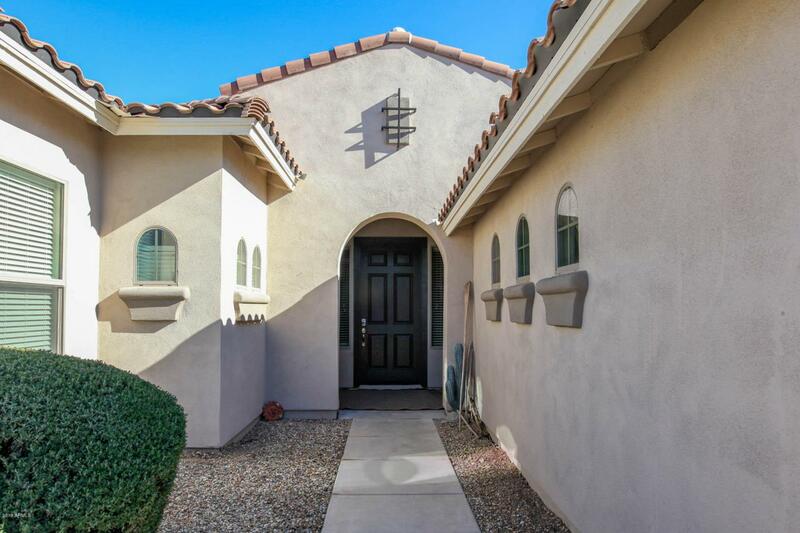 This MOVE-IN READY, NEWLY PAINTED home offers open great room floor plan. 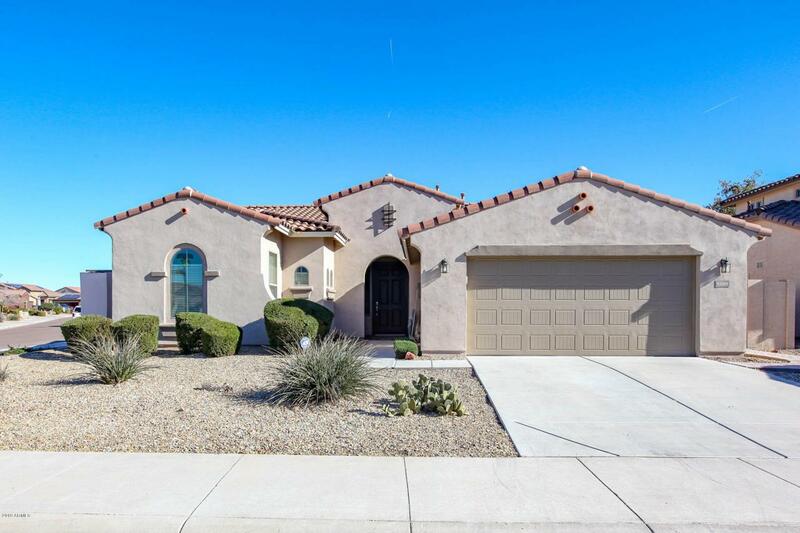 Home features 3 bedrooms with open, upgraded kitchen including granite countertops, large center island with pendant lights above, eat in dining area and shutters on windows. 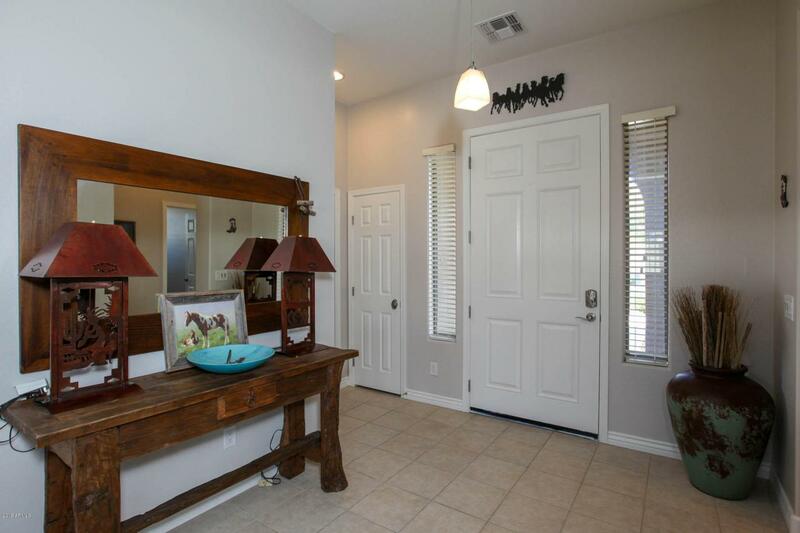 Large master bedroom with walk in closet and full bathroom including separate tub, shower and double sink vanity. Backyard has above ground hot tub perfect for relaxing, synthetic grass area and lots of room for entertaining. Garage is 3 car tandem with plenty of storage room. Furniture, furnishings and household goods available by separate bill of sale.